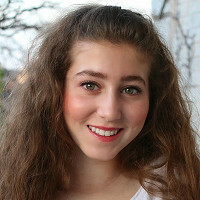 Maker Margo Gianos dreams big—and at just 16 years old, has already achieved her goal of starting her own business. Margo’s first batch of organic lip balms were created in her kitchen when she was 11. Along with some help from her mom, Margo mixed up a blend of natural ingredients, like coconut oil and aloe vera. She hit the schoolyard with her lightweight balms, and they were a hit with her classmates. The all-natural formulas are Made in the USA and lend a natural look, too. 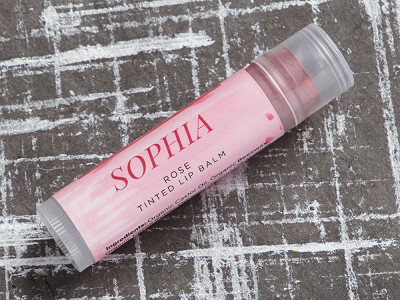 And the lip tints offer the same moisturizing goodness, but with a hint of color. They come in subtle (but delicious-sounding) flavors like peppermint, lemon, and Margo’s favorite, pumpkin cheesecake. For other dry spots, her body balms help soothe elbows, cuticles, or anywhere else that needs some relief. Now that Margo can check starting her own business off her to-do list, we’re eager to see what this enterprising teen accomplishes next. Hello everyone! I'm proud to introduce Honestly Margo to The Grommet. I'd be happy to answer any questions you may have! Maker Margo Gianos dreams big—and at just 16 years old, has already achieved her goal of starting her own business. Margo’s first batch of organic lip balms were created in her kitchen when she was 11. Along with some help from her mom, Margo mixed up a blend of natural ingredients, like coconut oil and aloe vera. She hit the schoolyard with her lightweight balms, and they were a hit with her classmates. The all-natural formulas are Made in the USA and lend a natural look, too. 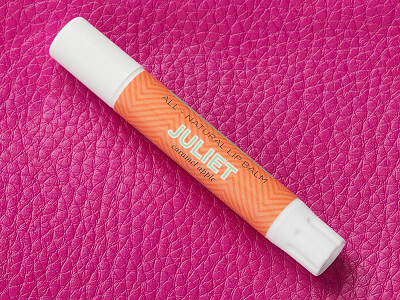 And the lip tints offer the same moisturizing goodness, but with a hint of color. They come in subtle (but delicious-sounding) flavors like peppermint, lemon, and Margo’s favorite, pumpkin cheesecake. For other dry spots, her body balms help soothe elbows, cuticles, or anywhere else that needs some relief.